Yarn Type SALE 30% OFF! An irresistibly soft, incredibly trendy fur yarn that you will fall in love with as soon as you feel it. It comes in a range of 10 shades that include both soft neutrals and stylish fashion colours. It is the perfect yarn for garments, home knits and accessories that both adults and children will simply adore. We have included a simple pattern for a snood on the ball band so you can have your gorgeously soft Touch snood straight away! 50% Nylon 50% Polyester. It is machine washable on a wool cycle. 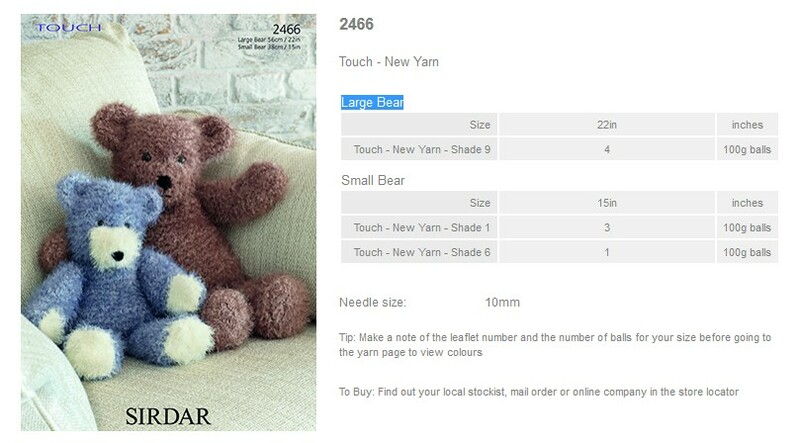 Leaflet with designs for small and large bears using Sirdar Touch. 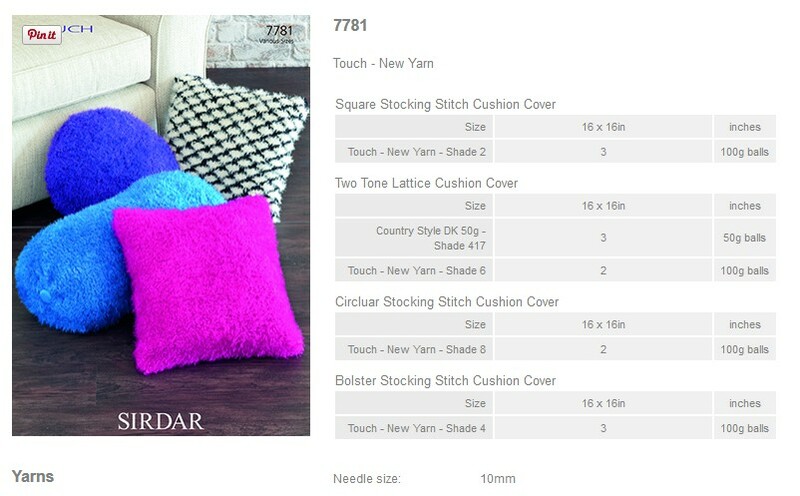 Leaflet with designs for Square stocking stitch cushion cover, Two tone lattice cushion cover, Circluar stocking stitch cushion cover and Bolster stocking stitch cushion cover using Sirdar Touch. 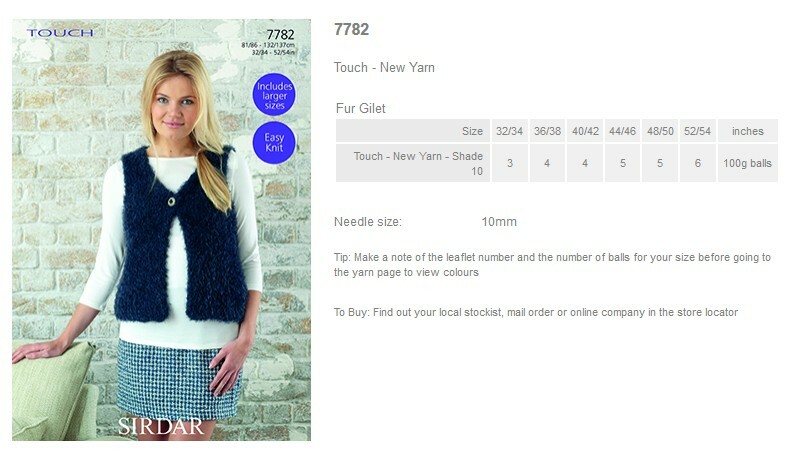 Leaflet with designs for a Fur Gilet using Sirdar Touch. 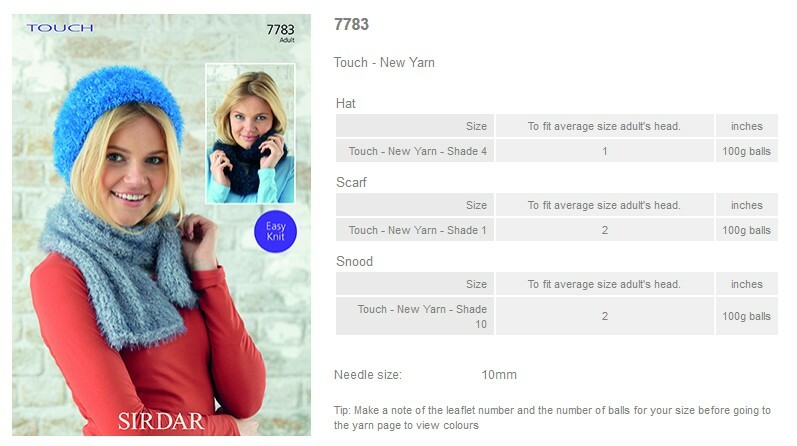 Leaflet with designs for a Hat, Scarf and Snood using Sirdar Touch. 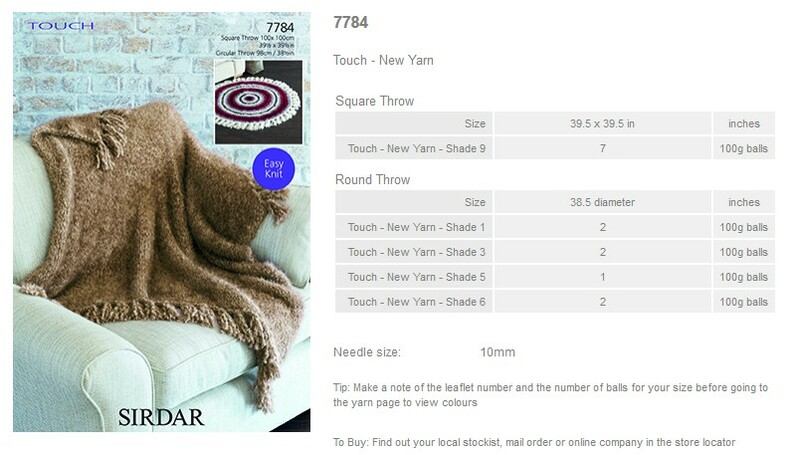 Leaflet with designs for Square and Round Throws using Sirdar Touch. 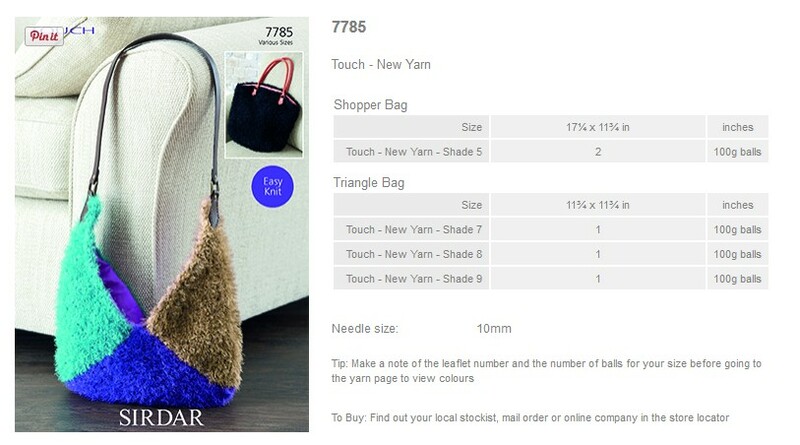 Leaflet with designs for a Shopper Bag and Triangle Bag using Sirdar Touch.